My grandfather Chuck Lowry struck quite a post for this photo from the 1937-38 school photo at Ursuline High School in Youngstown, Ohio. This would have been grandpa’s 8th grade year. I would love to see LifeTouch (school photography company) send home to parents school photos with a border like that today. 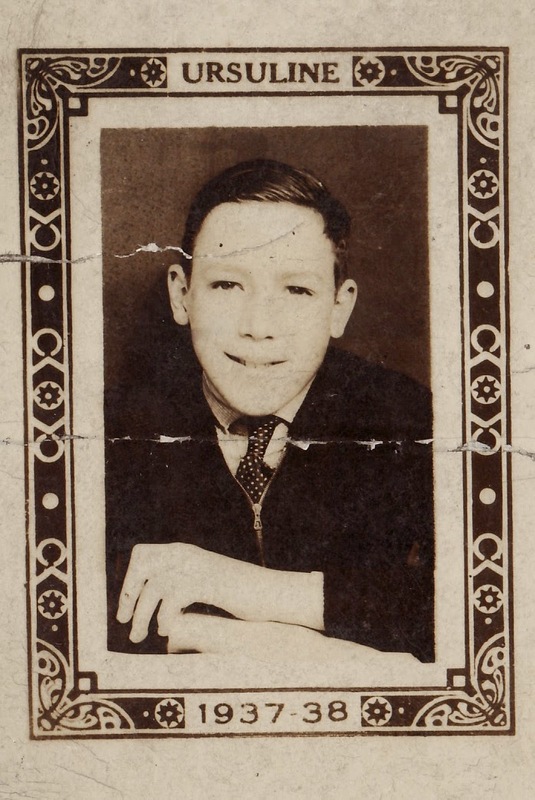 Charles J. Lowry (1924-2007), photograph, taken at unknown location, in about 1937; digital image, photocopy of original, scanned in 2013 by Joseph Lowry; privately held by Mary McCaffrey, [address for private use], Canton, Ohio. Young man wearing tie leaning with hands in front. Provenance is Mary Pepperney Lowry to Charles Lowry to Mary McCaffrey to Joseph Lowry.